When Katie Couric left The Today Show I can't lie - a little piece of me wept. Sure, I didn't really watch the show anymore because I had things to do like work and fondle myself, or somedays (even better) fondle myself while actually at work (because who doesn't want to get paid for that?) but I did weep just a little (mostly though because I too was fixated on her million dollar insured legs*). But I also thought it was an opening, a new millennium, the beginning of a fiscal year where the forecasts were bullish, growth was imminent, and everyone forgot about the scandal with the CEO and that underage girl at Polkafest XII: Rise Of The Accordion. It was going to be the start of something great. An Asian American women co-hosting The Today Show. 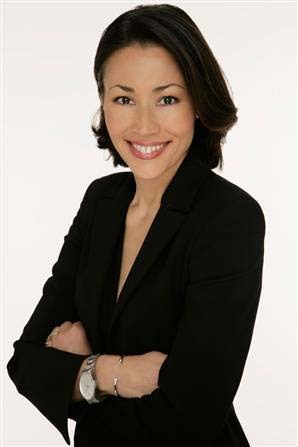 America's number one rated morning show ready to wake you up with a cup of coffee and a splash of Ann Curry. And while I have nothing against Meredith Vieira herself I still can't help but hold a tiny little grudge against her, because I feel like she robbed me of being able to call in sick while lounging around in my pj's eagerly awaiting the next installment of Ann and Matt on location in The Galápagos Islands. I'm not bitter, I just don't think I can ever really forgive her. But second chances do happen. Meredith Vieira is leaving, Matt Lauer could be following her quickly, and according to a TVGuide poll more than 60% of voters think the job should go to the woman we all can't help but love (even if just a little). * I'm actually not quite sure if that's the exact number - I just remembering hearing this when I had a run-in with a nun - but that's another post..